In addition to a prolific catalog of films on adventure travel, the life-long adventurer is also the author of Microadventures: Local Discoveries for Great Escapes, and the forthcoming Grand Adventures. It turns out that authenticity appeals to a lot of people. 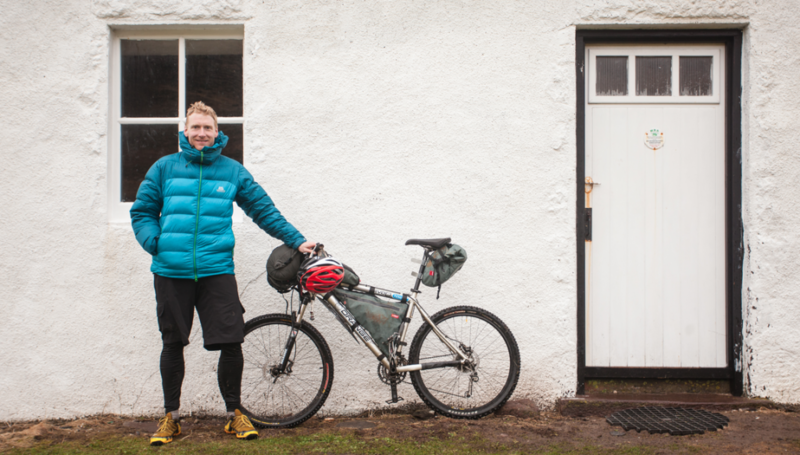 Alastair says he had no script when he began filming his Film by Bike submission, “Mountain Bikes and Bothy Nights.” He just filmed everything and then came home and crafted it into a story. This entry was posted in Filmmaker Spotlight and tagged alastair humphreys, ayleen crotty, bicycle film festival, bicycle movie, bicycle movies, bike film festival, bike movie, bike movies, film fest, film festival, portland, portland oregon, riding bikes in oregon, riding bikes in portland, world's best bike movies. Bookmark the permalink.